The hosting team is responsible to ensure all settings are correct prior to beginning the match. Incorrect settings will result in a replay of the match. The game mode used will be Regular H2H. All teams are allowed. If a player disconnects from the game and is not able to reconnect to the game, then the Tournament Administrator will determine if the game state can be restored to a similar point so that play can continue. If a player disconnects from the game and is not able to reconnect to the game on a repeated basis, then a loss will be given to said player if the Administrator deems it as intentional. - A player is winning by 24 points with possession of the ball AND the team losing has had at least one opportunity to possess the ball in the second half. Onside kicks are not allowed in the first half. A player may attempt an onside kick at any time in the 2nd half if they have scored fewer points than their opponent. Attempting an onside kick at any time NOT permitted may result in a forfeit for unsportsmanlike behavior. Players may not audible out of the QB Kneel, Wildcat, Field Goal, or Punt offensive formations. Neither team should purposefully go offsides with the intent of delaying the game nor exhibiting unsportsmanlike conduct. Intent is at the discretion of the Tournament Administration. 1. Tournament matches are expected to be played at the scheduled match time. If an opposing team fails to show up after 10 minutes after the scheduled time, you must report a no show to live support. We will then contact the opposing team to confirm the no show. 2. If random users enter the room, you must ask them to leave. If they leave immediately without disrupting the match then the match will continue. If random user(s) interfere in a match then the hosting team must end the map, restart, and continue from the same score when the inference happened. 3. If a team reports a loss for a match, they cannot then contact Live Support looking to get the match reverted/replayed. Matches are only reverted/replayed if a match being advanced is due to admin error..
4. Any claims for glitching or cheating you must contact live support. Please have video proof ready when contacting live support. 5. Players have until the start of the 2nd quarter to report any incorrect settings. If a player fails to report incorrect settings before the start of the 2nd quarter the match is to be completed with the current settings. 6. UMGO reserves the right to broadcast any Match. 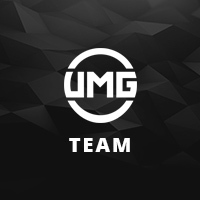 If UMGO chooses to broadcast a Match, UMGO Staff members must be allowed into each Game. If UMG Staff members are unable to connect to a Host, all other hosting options may be explored until a suitable Host is found. 7. Third party communication is allowed for this tournament. (i.e skype, TeamSpeak, Party Chat, etc.). However, players must be able to communicate with any staff member that joins the lobby. 8. If your team is competing in mutiple UMG tournaments at once and your team is in the finals of one of these tournaments, your team has 20 minutes from the scheduled match time to play the finals match or your team risks being reported as a no show and can lead to a forfeit of the finals match or being forced to playing man down. Connect Madden 19 to your UMG Account.